How To Reduce Ill Effects Of Sun ? , Natural remedies to get rid of malefic sun impacts, Inauspicious sun remedies, Astrology Remedies for Sun or Surya, how to make sun strong. Before starting this article let me clear a very important concept related to MALEFIC SUN AND WEAK SUN. Malefic sun means when sun sits with enemy zodiac then it becomes malefic but weak sun may be positive or negative. In this article we are going to see only remedies of malefic sun. There are different solutions of malefic and weak sun so don't be confused. Sun plays very important role in our life and as per vedic astrology sun represent higher authorities, father, name, fame, journey, will power, self respect etc. It is the king of all planets. 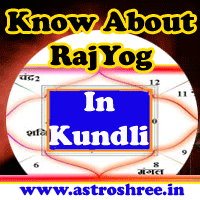 If Sun or surya is in good state in horoscope/kundli/birth chart then person easily get name and fame in life and live successful life. whereas inauspicious sun leads to many problems in life. Person may face problems in eyes due to malefic sun. The will power of person may affected badly due to weak sun. Person may face problem in getting the ancestoral property. Malefic sun also indulge person in illegal activities. Person may not get support from higher govt. authorities. Heart problems is also possible due to malefic sun in horoscope/kundli/birth. Not getting promotion in job in spite of hard work. Problems in life depend upon in which house Sun is sitting and what is the state of it. If life is affected by sun badly and no ways are coming to get rid of it then it is necessary to take the help of astrology and adopt some good ways under guidance of astrologer. If surya is creating problem then do put a sun yantra in a copper vessel and then give offer water to sun from this vessel daily in the morning. Surya Shanti Pooja is also a good way to minimize impacts of malefic sun. Do feed sweet chapati to red cows on sun. Do take blessings from aged males, father daily. Don't ever insult any aged person. Daily perform hawan with wheat and molasses and with any sun mantra 108 times. Donate molasses, wheat, on sunday specially in any temple. Do not wear ruby if sun is malefic in horoscope or birth chart. Fasting on sunday is a good way to minimize impact of bad sun. Tula daan of wheat of Sun is also a good way. So don't worry if sun is not supporting you, don't worry if surya is malefic in kundli, contact astrologer for proper analysis and remedies. How to reduce ill effects of sun, Natural remedies to get rid of malefic sun impacts, Inauspicious sun remedies, Astrology Remedies for Sun or Surya, how to make sun strong.